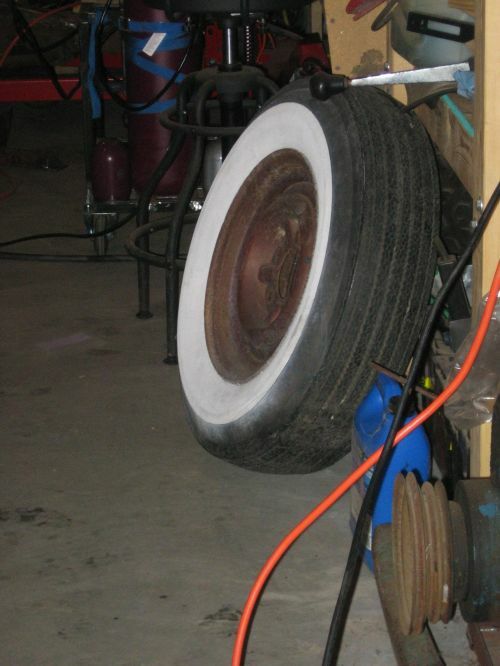 I had found a pair of whitewall tires on steel rims on Craigslist the weekend before Emmett was born. They were off of a ’47 Ford project, and they were the perfect price to see if I really wanted bias-ply whitewalls on the truck. So, Mike was kind enough to hang onto them for me while we went about figuring out how to raise a newborn (FYI: primarily it consists of foregoing any sleep) . Which brings us to today. The weather advisories said it was to be around five degrees (Fahrenheit) above zero today, with windchills around negative 45 degrees. The wind was supposed to be around 45mph, and there was supposed to be about an inch of snow. Perfect day to drive three hours (each way) to pick up some used, cheap tires, right? At least I didn’t drag the baby out in it… I would be a VERY bad parent if I had! So, off I go at 6am this morning, driving from Rock Creek, MN to St. James, MN. 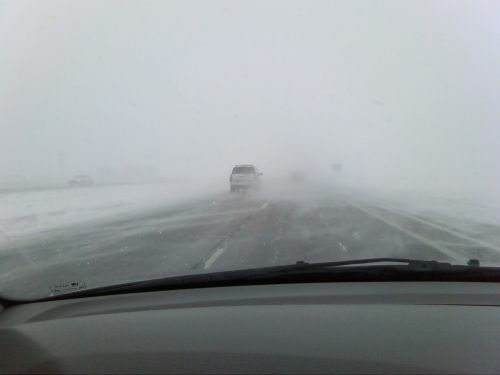 Everything is going fine, then all of a sudden, about five miles outside of Mankato, WHAM I can see anything, the wind is blowing me all over on roads I’ve never seen before. Am I going to hit a stopped car ahead of me? Am I going to go straight when there is a turn? Yikes! Here’s a photo to get an idea of what I was seeing… the photo makes it look like a walk in the park compared to what it was! So it took about three hours and fifteen minutes to get down to St. James, but it took about four to get back. It was terrible all the way to about Belle Plain, then the roads had a coating, but it wasn’t blowing as bad. 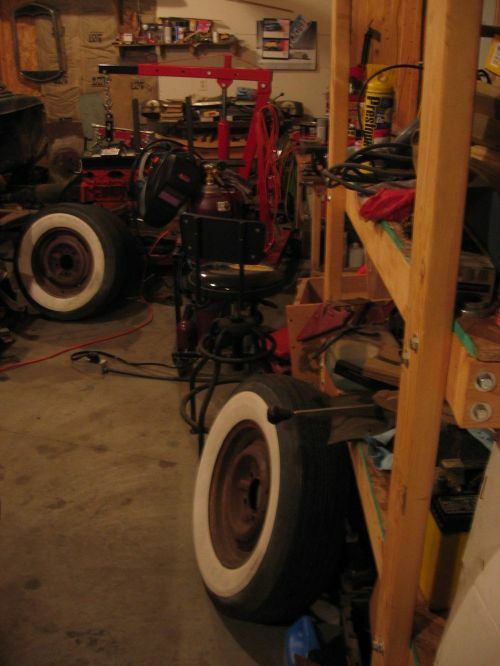 Anyways, I got my “treasures”, as Michelle’s Mom calls her auction buys, and they tires, G78-15’s, by the way, are perfect for the truck (probably use them for the fronts and get L78-15’s for the rear for now, until I can afford to go to 16″ wheels). 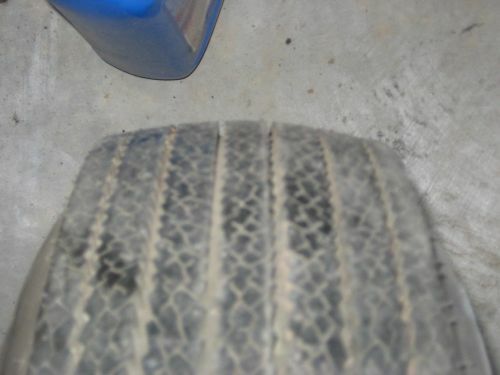 They have a TON of tread, and don’t look cracked at all. The only thing that I wonder about is, they look like there is some “overspray” or something on the whitewall portion… were they just spray painted white?